What is Croci Rolling Shutters? 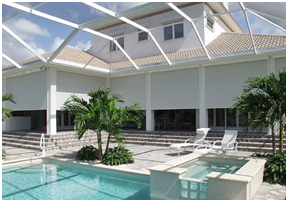 Rolling shutters are a classic shading system for both residential and commercial businesses. A popular and modern popular choice for many home and or business owners that is very easy to install which at the same time, serves many purposes. 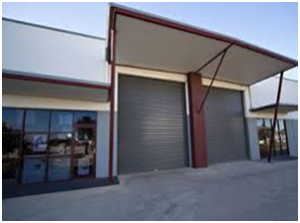 It is a convenient shutter that can just be raised or lowered anytime you like according to preference. Croci Rolling Shutters are reliable and easy to use only at a touch of a button to automatically open and closes the shutters which gives you an ease as it provides protection, comfort and security to your well take- cared of investment. It is specifically designed for covering wide range of home and commercial business areas such as windows, corner windows, sliding doors, front doors and more. What are Croci Rolling Shutters made of? They are made of Aluminum and Steel which gives additional security because it is almost impossible to break. 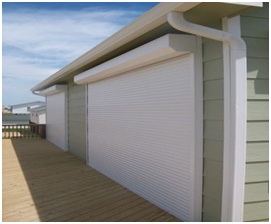 Moreover, a wide range of security can be added to these rolling shutters to double its security. 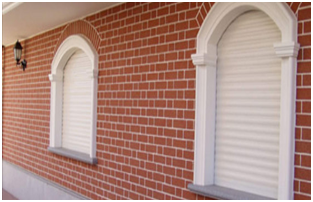 What are the benefits of a Croci Rolling Shutters? These shutters provide reinforcement from extreme storms and winds and are more advantage especially to those in hurricane phone areas. It gives overall property security by making these shutters difficult to burglars to get into. It helps insulate your property which means it utilizes the use of property fuels in both cooling and heating that can up to cost savings. With its push button control, a hand-held transmitter or wall switch will deploy your shutters either on a raised or lowered direction. It can just be easily adjusted and allows you to control the amount of light you want to come in which has less detrimental effect on your indoor furnishings and household items. What Options do I have should I consider getting one? There are wide ranges of options you can choose from based on the look you want to achieve. We’ll further discuss how and what would be the best one to get according to your properties intervention, dimensions, aesthetics and etc. If I move to one place from another, what happens then? These rolling shutters are specifically made to fit the size of your windows, doors and etc for your properties security and protection, it cannot be taken with you should you wish to move. Does this Croci Rolling Shutters come with a warranty? Yes, it is guaranteed to have two years warranty from the date of purchase but only limited to defects due to production flaws. How much does this product cost? We start with an onsite measurement wherein one of our well trained experts comes out to your place to give you a proper estimation and the overall cost. Talk to us and we’d love to help you with more information needed.